In the heart of the Great Smoky Mountains is a place where you can relax and enjoy the simple life. Located just outside of Gatlinburg in Hartford ,TN and is short drive to Pigeon Forge and the National Park. 20 campsites are available as well as 6 riverside cabins. You can also take advantage of nearby hiking, zip lining and white water rafting fun. Some travelers enjoy having great accommodations waiting for them when they arrive in the Smokies. Others prefer to bring their own accommodations with them. 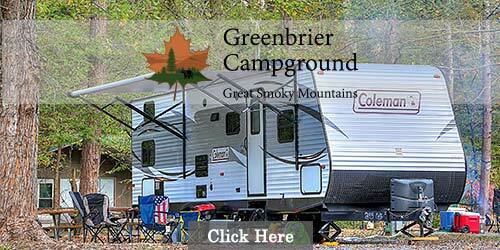 The Smokies' premier class-A accommodations for RVs has 16 full-sized sites. Site is 50'x85', full hookups, free WiFi, gated security and daily garbage pickup. Family owned and operated since 1984, you'll enjoy the peace and beauty of camping with all the comforts and conveniences of a full-service accommodation. Just imagine going to sleep with the sound of a rippling stream just outside your window. Available on-site car rental, camper supplies/grocery store, playground, and free WI-FI. 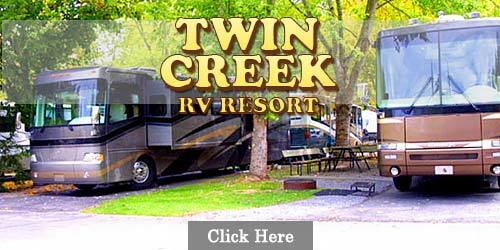 This campground/rv park is located on Wears Valley Rd in Pigeon Forge, TN. Offering sites of varying sizes along a mountain stream. A pool is availble to all campers in season. Convenient to all area attractions including Dolywood, Country Tonite, National Park, Gatlinburg Aquarium and more. Come and do as little or as much as you want to. It is really up to you. Relax by the river or jump in the Flint Rock swimming hole to cool off. Featuring tent camping, RV camping and the Flint Rock Cabin, the choice is yours. Spend the day at with attractions, shows, putt-putt and more or just stay on the grounds and relax. For a unique camping experience, try glamping in the Smoky Mountains. Get closer to nature without the roughing of camping. Spend your nights in a tent complete with bed, bathroom, shower and more. Enjoy all that nature and the Great Smoky Mountains outdoors have to offer. Clabough's Campground & Market is a family owned and operated business since 1978. You will be welcomed by a friendly and courteous staff, eager to make your visit a happy one that you will remember for years. Rolling hills, lush forests, and the beauty of the Smoky Mountains are just a part of what makes Pine Mountain RV Park so very special. Join us at our RV park in Pigeon Forge, Tennessee for fabulous camping activities like trout fishing, white water rafting, horseback riding, hiking, biking, and golfing. 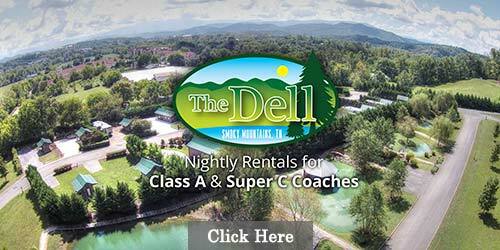 We're just two miles away from all the incredible attractions of Dollywood and only ten miles from the world-famous Great Smoky Mountains National Park. Up The Creek RV Camp was designed for RV campers by RV campers! Our years of camping in RV parks and campgrounds across America inspired us to find the most ideal setting to create a campground that offers over-sized RV sites that are easily accessible and in a naturally scenic setting. 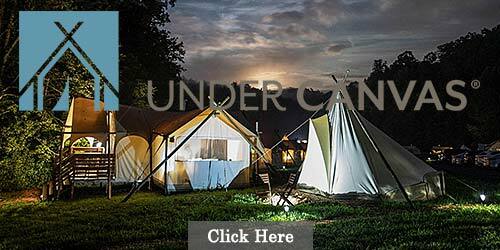 We?re a refreshing alternative to those unreasonably cramped campsites that we?ve all grown accustomed to. Up The Creek even created a few specialty sites featuring amenities such as modern outdoor kitchens with others featuring cozy stacked-stone fireplaces! Nestled between Walden Creek and Cove Creek, and surrounded by magnificent hardwoods, you can relax in the shade and enjoy the beautiful sounds of the creek. Located minutes from the entrance to the Great Smoky Mountains National Park, Gatlinburg, beautiful Wears Valley and Townsend, Tennessee. Our full service campground offers everything from tent camping to RV hook-ups, camping cabins and rustic cabin rentals with shaded lots and the ability to accommodate recreational vehicles up to 40 feet in length. With 175 beautifully landscaped campsites, Riveredge is Pigeon Forge's most beautiful RV Park. The wonders of the Great Smoky Mountains National Park, Gatlinburg, and the county seat of Sevierville are all just minutes away. Riveredge offers a large heated pool, playground, and, of course, fishing in the beautiful Little Pigeon River just a few steps away. Foothills RV Park and Cabins is located on Highway 441 just one mile from the entrance to Dollywood. Gatlinburg and The Great Smoky Mountains National Park are only five miles away. Trout fishing in the Little Pigeon River is within walking distance from the RV Park. Located on the Pigeon Forge Parkway Fun Time Trolley Route, you can enjoy a leisurely ride to famous outlet shopping malls, restaurants and music theaters without ever having to move your vehicle. 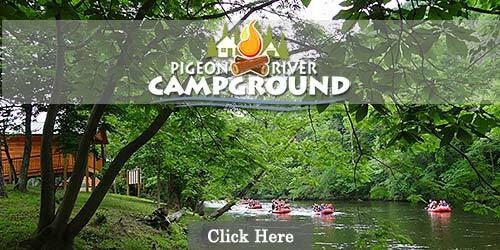 Riverbend Campground is located just 1/2 mile off the parkway in Pigeon Forge, TN. Conventially located to shopping malls, fine restaurants, and in walking distance to some of the area's popular Music Shows!